Women who are passionate about childbirth and interested in helping women through the work of birthing sometimes ask, "How do you become a midwife?" The path to becoming a midwife can vary depending on the professional background and experience of each individual candidate. Training can take as little as little as three years or as many as six. The American College of Nurse Midwives has recommended as part of their licensing requirements for professional midwives that all potential midwives pursue a graduate degree. There are two distinct types of midwives: Certified Nurse Midwives (CNM) and direct entry midwives. A certified nurse midwife is either a Registered Nurse before he or she pursues midwifery training or becomes a registered nurse as a part of their midwifery educational program. The program must be accredited by the ACNM and the midwife candidate must pass a certification exam administered by the American Certified Midwifery Board before he or she can be licensed. A potential midwife can pursue a nursing certification by attending a two-year or four-year nursing school. The student takes a variety of courses in biology, chemistry, and mathematics, and then goes on to take specific nursing classes to complete the nursing program's requirements. After the aspiring nurse has graduated from the program, he or she takes a certification exam and becomes a registered nurse after passing the exam and applying for licensure in his or her state. Aspiring midwives who are already registered nurses can enter a type of program referred to as a "bridge." This type of program will help students complete both a bachelor's degree in nursing and a master's degree in nurse midwifery. The advantage of pursuing the Registered Nursing credential before becoming a Certified Nurse Midwife is that Registered Nurses are in demand almost everywhere and can practice nursing in another area if a midwifery position is not immediately available. Some aspiring midwifes wonder, "How do you become a midwife if you aren't a nurse?" A direct-entry midwife is not a registered nurse prior to beginning professional midwifery training and does not become one as part of a midwifery education program. Non-nurses can become direct-entry midwives in a few different ways and can then take a licensing examination to become certified. Most direct-entry midwifery programs are three years long and the Midwifery Education Accreditation Council maintains a list of colleges and free-standing institutions that offer these educational programs. It's possible to become a direct-entry midwife by training with a qualified and experienced midwife. This working relationship provides the apprentice midwife with experience and skills training, which can then be evaluated by the North American Registry of Midwives as part of their portfolio evaluation process. A mentor midwife, or preceptor, must be nationally certified as a CPM, CM, or CNM or be legally recognized in the state or region in which he or she practices. The preceptor must also have been the primary attendant at least 50 home births or births in a freestanding center and have at least three years of experience. The apprentice midwife has to obtain verification of all skills learned and births attended and must develop and use practice guidelines, an informed consent form for patients, and an emergency care plan. 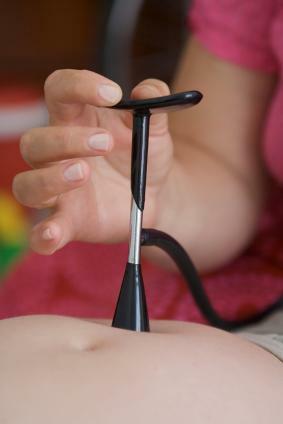 After the appropriate skills are learned and documented on the appropriate NARM forms, the apprentice midwife must then take NARM skills assessment test. The NARM portfolio evaluation process requires a $700 application fee which must be mailed along with the completed application forms and the letter of completion from the portfolio evaluation process to NARM in Summertown, Tennessee. The apprentice midwife also has to pass a written certification test administered by NARM, after which NARM issues a certification number and Certified Professional Midwife status. The midwifery training process is lengthy and comprehensive, but this intensity is necessary to ensure the safety of pregnant women and their babies. It is possible to become a direct-entry midwife without any certification, but the process of fulfilling the certification requirements ensures a high standard of training and professional practice for the aspiring midwife.